This is clearly a special day for the left-handed pitcher Fernando Valenzuela, but he still needs three more outs. Vince Coleman leads off the ninth inning. Valenzuela works to a 2-2 count, then strikes out Coleman looking. The crowd goes wild. Willie McGee, who has hit Valenzuela hard in the past, steps into the batters box. Valenzuela falls behind in the count, 3-0, the crowd falls silent. 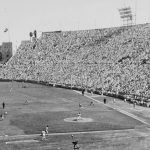 The next pitch is low and inside, McGee is awarded first base, and the crowd does not make any noise. Pedro Guerrero now has a chance to break up the no-hitter. Guerrero fouls the first pitch down the third base line, then he swings and misses on the next pitch. There is finally some noise in the crowd they are chanting, “Pedro! Pedro!” This is not cheering for him, but instead to get under his skin. Fernando Valenzuela, the youngest of 12 children, was born on November 11, 1960 in Navojoa, Mexico. There is really no information about his childhood, but I do know that he grew up in Mexico. Valenzuela started his professional career in 1977 when he signed with the Mayos de Navojoa. During this time, many MLB teams scouted Valenzuela and the Dodgers acquired him when he was 19 years old. The young lefty made his major league debut when he was 20 years old, in 1980. Valenzuela was the opening day starter for the Dodgers in 1981, his rookie season. He started the season with a record of 8-0 and an ERA of 0.50. He finished his rookie season with a record of 13-7 in 25 starts. He tallied 11 complete games in his rookie year, something that no rookie would do anymore. He finished his rookie year with 8 shutouts. It was another decade though, before he threw his famous no-hitter. His no-hitter came in his final year with the Dodgers. The no-hitter came on June 29, 2016, against the St. Louis Cardinals. The game lasted for only 2 hours and 41 minutes, but I’m sure it felt like a lifetime to the 30 year old pitcher. 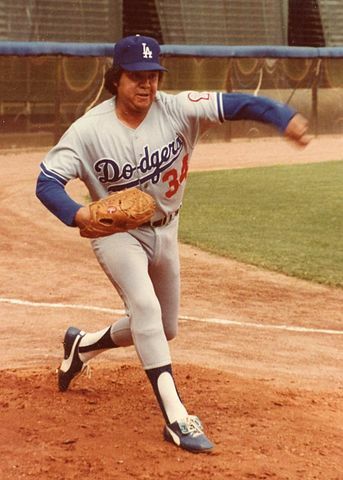 Fernando Valenzuela spent his final 7 years in the major leagues scattered across various teams. On August 23, 2003, Valenzuela was inducted into the Major League Baseball Hall of Fame. He is now the play-by-play commentator on SportsNet LA Spanish. So if you can understand Spanish, or if you just want to learn, tune into SNLA Spanish and listen to Fernando Valenzuela.